A pun that I wrote that got cut from the show, shame. Accept that when he’s staying in the building where your performing that he might not leave the building for 4 weeks. Apart from when he wants pie and mash. And even then he might try and make you get him a take away. Share the bottle of wine with him that he’s bought post show so he doesn’t drink it all. When he promises to do line learning with you in exchange for you doing all his washing and shopping at ASDA accept that he probably won’t do the line learning with you. Design a musical mantra for inside your head for every time your cantankerous dad complains about something i.e. his tea isn’t hot enough, even though he has never made you a cup of tea in your life. Download a £30 meditation app and never use it. Surround yourself with an incredible, tolerant team who don’t mind doubling up as councillors and mediators. Accept that your dad is a child but a child that isn’t going to grow up and change his behaviour. If your staying in the same building make sure your bedrooms are a million miles apart so you can have some peace. Accept that he conducts all his phone calls on speakerphone. Accept that he needs to sleep for 21 hours a day. Joking he only sleeps 18 hours a day. About the same amount as Major Tom no wonder they were such mates. Give in sometimes, even though you are right. Don’t learn the hard way; that the show doesn’t work unless you are friends. Sharpen up your on stage improvisation skills, your going to need them. Remember that when times are tense and even if it doesn’t feel like it right now. That one day you will both look back at this and remember it as a “bonding experience”. Yeah right! Think about the good things you are doing not only with your art. But you have given your long-suffering mum a month off. The house must be immaculate. She must feel like she’s at a spa. Look after him; remember it’s a strange role reversal and career change for him. What he’s doing is brave and he hasn’t done it before. SO JUST BE BLOODY NICER! 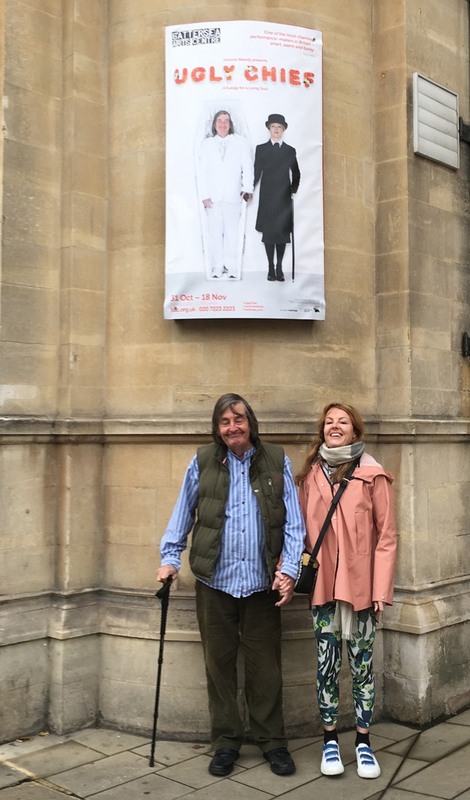 Ugly Chief – Critics liked it! The Reviews are in and they are grand. 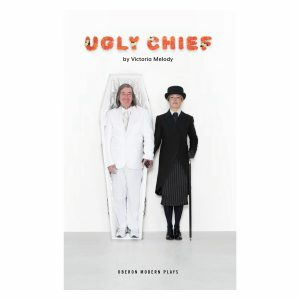 Exciting that Oberon Books have published the playtext from Ugly Chief. It also includes letters from my funeral director friends, an essay from Tora Colwill from the Modern Funeral, colour photos and very frank interviews from dad and I. You can buy copies from my website, Oberon and Battersea Art Centre whilst the show is on. Top Tip – buy from BAC they are cheaper and you don’t need to pay P&P. Finally I get to tell you about the… Ugly Chief Spring Tour! Check out Victoria on Instagram!